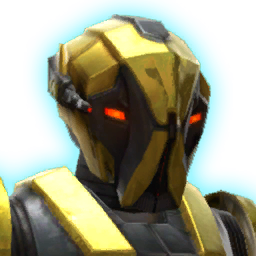 HK-55 sacrificed himself to save your life during the confrontation with Arcann on Asylum. There seems to be no hope of rebuilding him. Against all odds, Doctor Oggurobb managed to reassemble HK-55! Unfortunately, none of the droid's memories could be recovered, reverting him to his factory default state. Making use of Oggurobb's lab resources, you defined a new set of combat protocols for HK-55.